Click "Submit button" at end of form. I own or use engine(s) that require and/or perform best on NON-alcohol fuel types, including: (Include engine year, type, model and if applicable, manufacturer gas recommendations). Due to the limitation of only ethanol-blends (E10 gas) being sold in my neighborhood of (enter location in box at right) I have experienced negative and unnecessary consequences and/or inconvenience and/or added expense. (Include town, county, state and/or zipcode). Gas-caused part(s) disintegration, deterioration and/or damage; (E.G. Premature replacement or repair of fuel pumps, hoses, gas tanks and/or carburetors). Performance issues; (E.G. decreased engine power, hesitation, stalling). Other E10 gas problem(s) not listed above. Additional Comments: - OPTIONAL - Supportive of why E10 and/or E15 is not the correct fuel type for your engine(s). 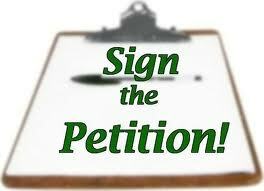 Petition sponsored by Fuel-Testers Company starting November 2010. Expected completion date: December 31st, 2014. Email: fuel.testers@yahoo.com Phone: (678) 935-1998 Fax: Call for number. Fuel-Testers/MLR Solutions is a private company that provides consulting services, education and testing equipment/products to the public. will have a huge impact on the future decisions rendered by the EPA and others in the ethanol and fuel industry. View Printable Petition Form Here. Coming soon - Who should we blame for lack of E0 pure gas availability? "Sadly, EPA (Environmental Protection Agency) abandoned its true mission and became both the Environmental Politics Agency and the Ethanol Promotion Agency..."
the only complete, reuseable and accurate portable test kit available that will instantly reveal presence of ethanol in gasoline. (Includes Quik-Check™ indicator solution and tester to read percent alcohol). Fuel-Tester's Petition for Ethanol-Free Fuel Choice. View sample of petition responses. - Portable, reusable, inexpensive test kits and solution to instantly check presence and percent of ethanol in gasoline. Costs less than a nickel/5 cents per test - Wll save you $$$ in gas costs and prevent engine damage. Find an ethanol-free gas pump in your area. The EPA's recent unwarranted approval and introduction of a new conventional E15 gas type which will contain 50% more ethanol than approved by all current manufacturer recommendations/warranties, is further substantiation that choosing the most appropriate gas type at the pump should be determined by the engine owner. For those who choose to use higher ethanol blends, it should only be allowed in manufacturer-approved engines with E85 fuel (85% ethanol) used only in specially-designed flex fuel vehicles. I have experienced negative and unnecessary consequences and added expense. (Include town, county, state). (Please check those that apply to your engines). Petition form "Ethanol-Free Fuel Choice" prepared by Fuel-Testers/MLR Solutions, a private company that provides consulting services, education and testing equipment/products to the public. ___ Check here if additional comments have been sent/attached (in PDF or Word format) to Fuel-Testers email. SIGN PETITION to reclaim your right to buy ethanol-free E0 gasoline. Copyright 2006-2014 - Website contents cannot be copied or reproduced without permission. Contact Us.